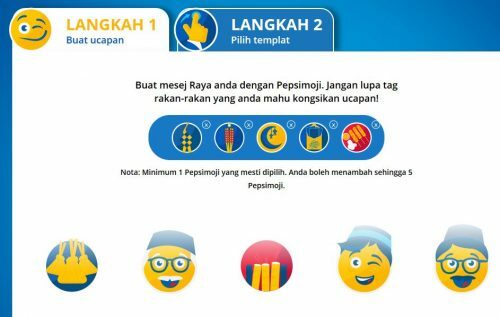 Pepsi is deploying its Pepsimojis for its #SayItWithPepsi Raya campaign in Malaysia. 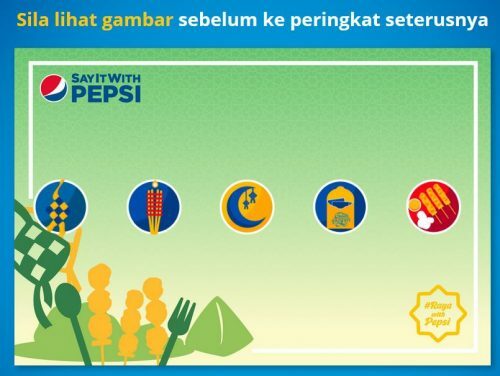 Last year, we say the carbonated soft drinks maker celebrating Raya with limited-edition Pepsi packaging and charity marketing campaign (Liter of Light) to eradicate energy poverty. This year, Pepsi continues to innovate around packaging design featuring Raya themed emojis for the 1.5L pack. The company has also launched the Pepsimoji contest to deliver festive messages to loved ones. 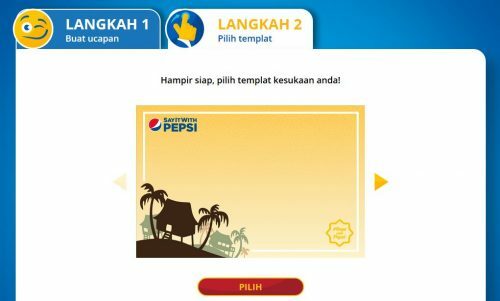 In the Pepsi Moji Stories portal, consumers can craft their own Raya messages using Pepsi emoticons. Once the Raya themed emoticons have been chosen, the next thing to select is the background of the card. The background comprises three design choices – Malay silted house, oil lamp holder or traditional food like ketupat and satay. Here is the author’s finished version. The completion e-card can be shared on social media. all the images are from the official Facebook site of Pepsi Malaysia. Pepsi’s Raya marketing campaign has always been more muted compared to Coca-Cola. This has also got to do with the local bottling company Etika deploying more resources to support products with better growth potential such as Goodday Milk, Mountain Dew and Calpis.